It has contact, systemic and stomach action which gives effective control. TITYUS controls yellow stem borer, Leaf folder in rice crop. 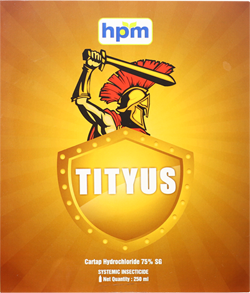 TITYUS is effective to control biting, chewing and sucking types of insect pests. It is compatible with other commonly used insecticides and fungicides. 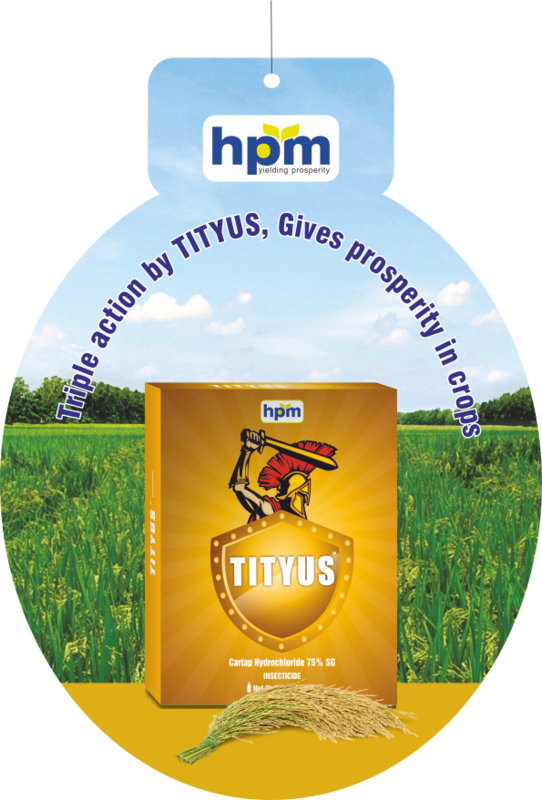 TITYUS also controls larvae which are resistance to conventional insecticides. It has no effects to natural enemies, fish, animals, human beings, crops and hence safe to environment. Two years under normal storage conditions. 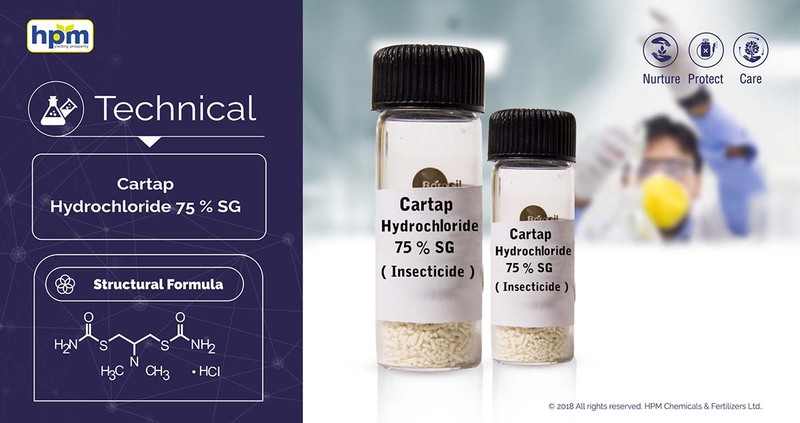 Cartap hydrochloride, analogue of the natural toxin nereistoxin. Nicotinergic acetylcholine blocker, causing paralysis by blocking cholinergic transmissions in the central nervous systems of insects. Is a commonly used low toxicity insecticide.it may be phytotoxic to cotton,tobacco and apples. Systemic insecticide with stomach and contact action. Insects discontinue feeding upon contact, and die of starvation. It is a unique potent insecticide formulated as granules for easy broadcasting in paddy fields. Developed foe use against Organophosphorus and organochlorine resistant species of insects. Effective at low concentration against both chewing and sucking insects at almost any stages. Due to its systemic action,effective against a wide range of paddy pests such as stem borers, leaf folders, whorl maggot and leafhoppers. It may also be used to control Shoot Borer of sugarcane, Diamond back moth of cabbage and cauliflower, fruit borer of brinjal, pest of chillies. Not compatible with pesticides which are alkaline. In rats the carbonyl carbon is hydrolysed and the sulfur oxidised with N-demethylation of thiomethyl derivatives,No accumulation occurs in tissues.